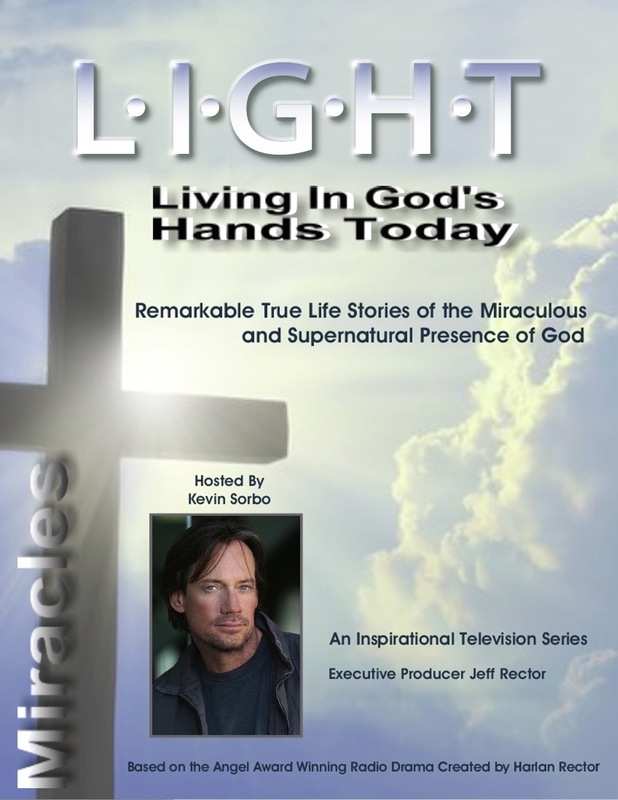 “L.I.G.H.T.” - Living In God’s Hands Today, is a dramatic new weekly television series with Christian director, producer and television and film star Kevin Sorbo (“Hercules”, “Andromeda”, “Let There Be Light”, God’s Not Dead”), attached to Host the series. L.I.G.H.T. is based on true-life spiritual experiences of ordinary people whose lives have been forever changed through the love and glory of God. Each episode of L.I.G.H.T. is connected to and brings to life a powerful passage from the bible and recreates though state-of-the-art broadcasting/media storytelling, the remarkable experiences of people who are touched and saved by the miraculous and supernatural presence of God. The success and positive impact of such faith-based motion pictures and TV series as “God Is Not Dead”, “Heaven is for Real”, “Left Behind”, “The Bible”, “Touched by an Angel”, and “It’s a Miracle” have all paved the way for other christian projects including this inspirational new dramatic series. With Christian faith-based media being extremely successful and more prevalent, “L.I.G.H.T.” is a timely addition to family orientated programming on network and cable television. There are currently 40 episodes of L.I.G.H.T. available for development, with more incredible true stories yet to be told. Forty amazing stories that deal with a variety of issues and everyday challenges we face in the world. Episodic storylines include drug addiction, alcoholism, near death experiences, teen pregnancy, suicide, infidelity, loss of faith and many more. Each story is based on true events and is an ultimate testament to God’s miraculous love, blessing and salvation. This astounding series Pilot Episode “The Bill Zdinak Story”, is full of God’s miracles and will be the catalyst to launch this thought provoking, inspirational and life-changing faith-based new television series.